As a member of the fastest dog breed on the planet, the quick pace of city life agrees with Salty the greyhound. 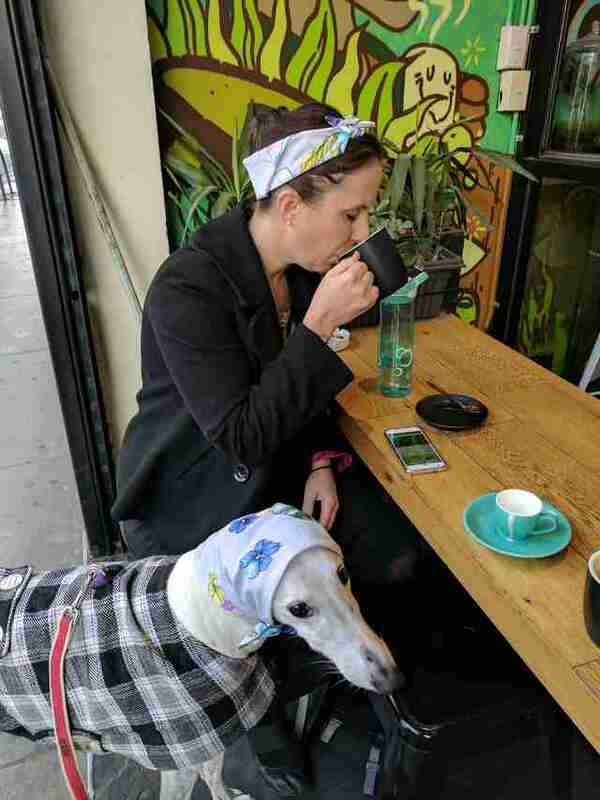 The white dappled dog is a fixture in coffee shops and pubs around Melbourne, Australia, and her mom, Lucy Percival, is happy to encourage her social spirit. 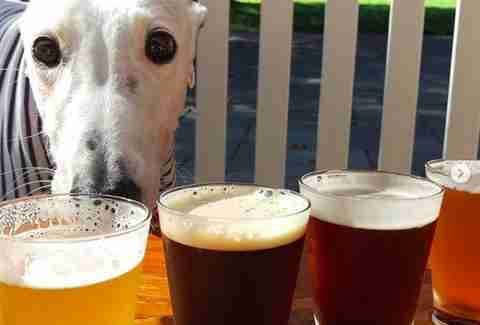 Most dogs would prefer to head to the dog park rather than a bar — but Salty isn’t like most dogs, for a number of reasons. Whenever Salty is contentedly sitting at her favorite spot, something odd happens: She reveals her pronounced front teeth and her jaw starts to chatter. This behavior can draw curious, even concerned, stares from her fellow café patrons. Chattering (chittering or knitting) is one trait that makes greyhounds special. 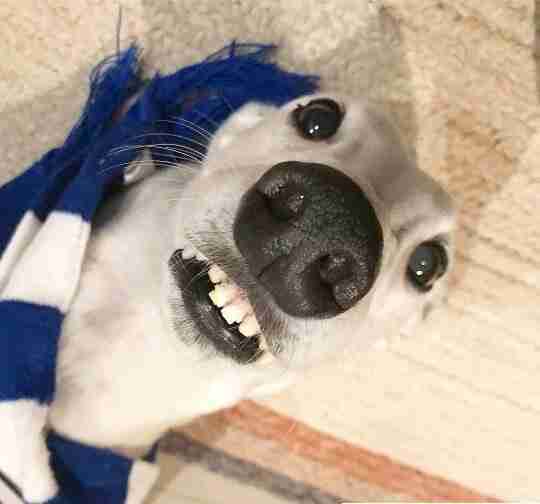 Unlike humans, where teeth chattering is an involuntary form of shivering, greyhound teeth chattering is usually a sign of happiness or contentment, similar to a cat’s purr. Though Salty’s chattering is not especially uncommon for greyhounds, it still draws attention — and can get quite noisy. Salty’s pronounced chatter highlights yet another unique trait: Her humanlike front teeth. In the two and a half years since Percival and her partner adopted Salty, these buckteeth have helped her build quite the following on Instagram. 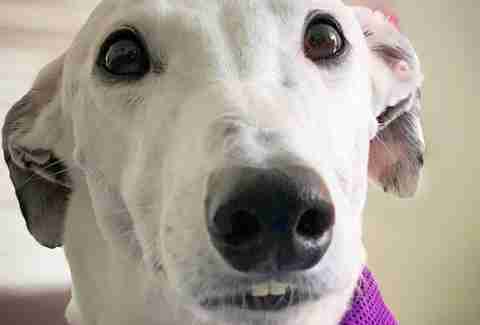 When Percival and her partner first moved to a small apartment in Melbourne, they thought a sweet, docile greyhound would be the perfect addition to the family. 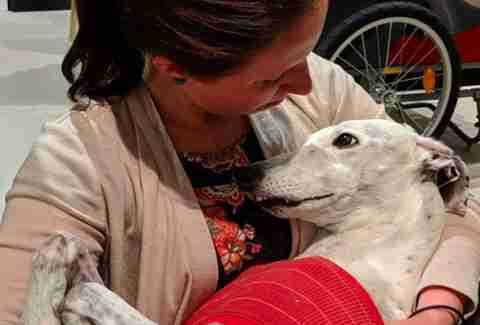 And when they saw then-5-year-old Salt at rescue organization Gumtree Greys, they knew they made the right decision. Moving to a new place can often feel isolating, but bringing Salty to Percival’s new apartment changed all that. Percival had no idea how instrumental her pup would become in helping her quickly form friendships and feel like part of a community. You can follow Salty’s adventures (and amazing teeth) on Instagram. 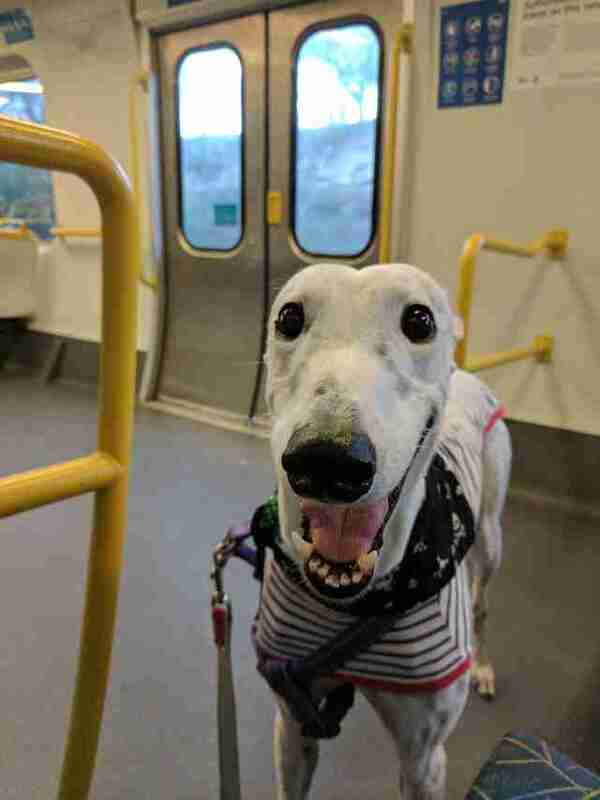 To support greyhound rescue in Melbourne, check out Gumtree Greys for more information.